How do I find out more information about the part? Select a part number to see additional part details. 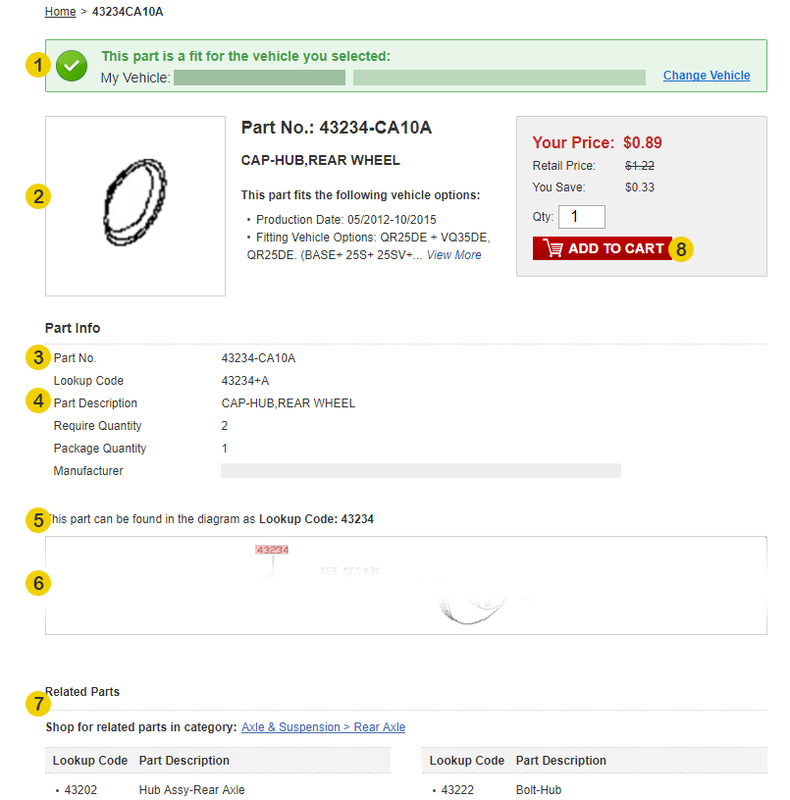 The part number/description detail page will include other helpful details, including verifying if the part fits your vehicle. 7 This shows you parts that are listed under the same category as the part you selected.